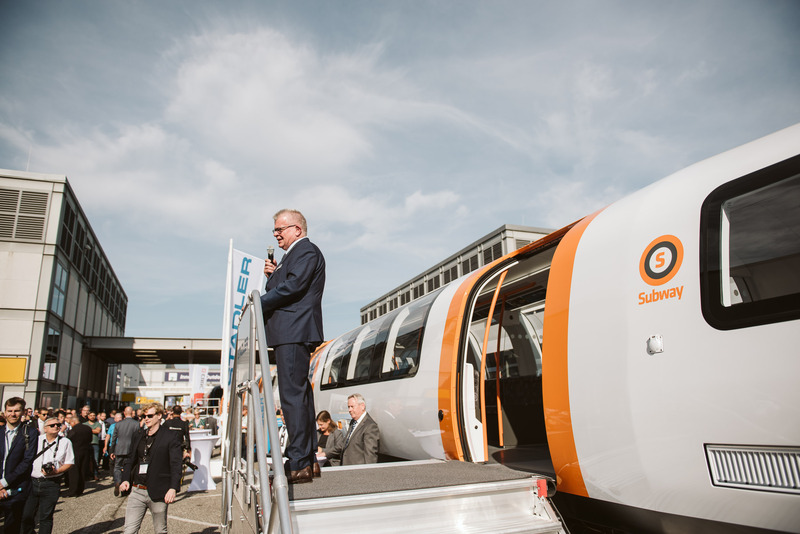 Stadler and Ansaldo STS have treated visitors at this year’s InnoTrans exhibition to a first look at one of Glasgow’s new driverless subway trains. It is the first public presentation of one of the 17 new trains ordered by the Strathclyde Partnership for Transport in 2016. As well as the trains, Stadler and Ansaldo STS are supplying the signalling and control systems, including the new platform screen doors, as part of the £200 million contract. 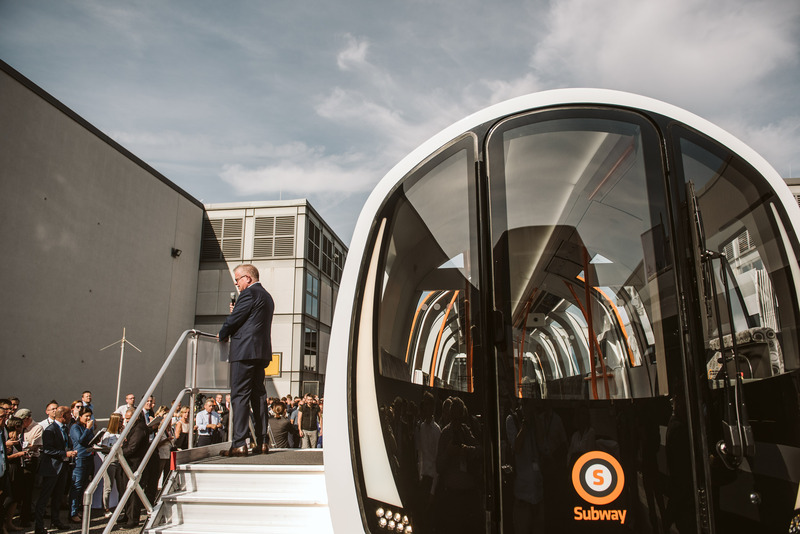 The Glasgow Subway order represents the first time Stadler has supplied trains for a driverless underground metro system. The design of the train also differs as they need to fit a track gauge of 1,219 mm and tunnels that are just 3.4 metres in diameter. While the new trains are the same length as the vehicles they will be replacing, they are four cars long rather than three. Peter Jenelten, executive vice president marketing and sales at Stadler, said the ‘historical substance’ of the network had put the company’s skills to the test. SPT chair councillor Dr Martin Bartos said in a statement: “I’m delighted to see these pre-delivery pictures of the first new train from manufacturers Stadler. It’s an exciting time for SPT and everyone involved in this challenging transport project. “Like every other Subway user, I‘m looking forward to seeing our new trains in Glasgow but I know there is a long way to go before new trains are in the system. Once they start to be delivered there will still be an extensive testing period to ensure we get things right for our passengers. I think Glasgow will be happy having these new subway stocks to replace the ageing stocks that have been refurbished recently but are due to be replaced by new subway trains that will be air-conditioned and also driverless and to have walkthrough gangways without no doors to help reduce overcrowding and to move from one carriage to the other. And with comfortable seats & standing space. Plus with bike racks & disabled area. As these will not feature toilets but stations on the Glasgow subway do have toilets. Stadler could also build these subway tube stocks for the London Underground Bakerloo Line to replace the 1972 stock which is due to be replaced in the next few years.